Fundamentals. 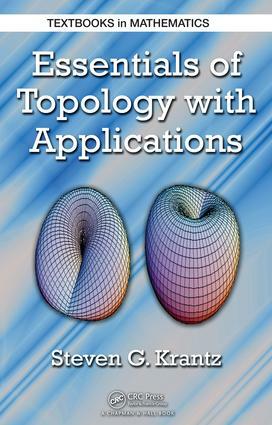 Advanced Properties of Topological Spaces. Basic Algebraic Topology. Manifold Theory. Moore-Smith Convergence and Nets. Function Spaces. Knot Theory. Graph Theory. Dynamical Systems. Appendices. Solutions of Selected Exercises. Bibliography. Index. Steven G. Krantz is a professor in the Department of Mathematics at Washington University in St. Louis, Missouri, USA.